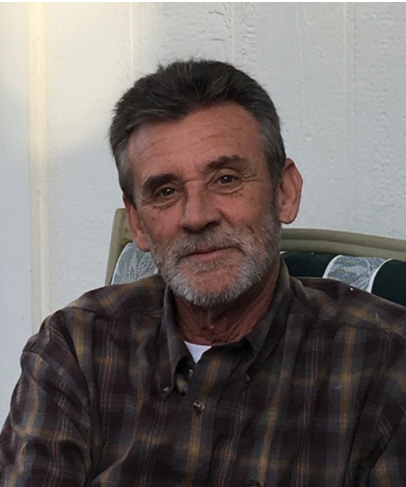 Robert Wayne Johnson, 61, passed away Friday, March 8, 2019 at his home in Graham. Memorial services will be Saturday, April 6, 2019 at 2:00 p.m. in Morrison Funeral Home Chapel. Robert Wayne was born July 10, 1957 in Denton, Texas to Patsy Johnson and the late Robert Lee Johnson. Robert worked hard as a painter in construction. He loved his children dearly. Robert loved the outdoors and he liked to go Fishing. In his younger days he liked playing poker. Robert Wayne Johnson will live on the hearts of his family members in the dearest regards. Robert is survived by his mother, Patsy Ann Johnson; a daughter, Maegan Marie Johnson of Roanoke; sons, Robert Lee Johnson II of Houston, Travis Wayne Johnson of Houston, and Creighton Patrick Johnson of Denton; sisters, Cindy Grubb of Graham, Patti Vinson of Springtown, and Malinda Johnson of Graham; a brother Michael Gene Johnson of Grapevine; and 6 grandchildren; Trevion Grant, Daylon Montgomery, Ryan Montgomery, Isaac Johnson, Adin Johnson and Liam Johnson. He is preceded in death by his father Robert Lee Johnson, a sister Christine Meinen, and grandparents Nell and Joe Cozby, and Rob and Maggie Hooten.